There’s a new sound in the suburbs of Adelaide at night. I hear it most evenings in my gum tree. It’s the sound of fruit bats. With them comes something we South Australians now need to know. In a nutshell, it’s this: only experienced and vaccinated carers should handle bats. Why that is I’ll explain below, and afterwards I’ll tell you who to call if you find a bat. Pay attention! There’s a quiz at the end. Grey-headed Flying-foxes established their first permanent camp in Adelaide in 2010. Currently it numbers around 10 to 15 thousand. The colony is mostly comprised of immigrants, coming to Adelaide as part of a bigger movement southward in Australia. Just like Rainbow Lorikeets once did, flying foxes have moved in to take advantage of the food trees and shrubs planted by us. They’re here to stay. However, we’re at the limit of their tolerable climate range. During harsh summer temperatures, many adults and young pups are found on the ground with heat stress. These are mostly the bats you might find and want to help. The Grey headed flying fox is nationally threatened, so every new colony is important. It’s suspected that clearing of food trees in the Eastern states has contributed to their arrival in South Australia. You could liken them to refugees. Flying foxes are easily caught in poorly placed fruit tree netting. Please make sure the net you buy has holes that are too small to fit your fingers through, and fit it tightly to the tree. Trailing pieces and gaps will only increase the risk. The last thing you want is a flying fox caught in the net (see below for what to do). Flying foxes mostly feed on blossom, nectar and native fruits so they aren’t a major threat to orchardists or fruit growers. Instead, they play an important role in the pollination of native plants. Bats carry viruses that can infect and even kill people. The chance of infection from handling a single bat is very low but you need to know the risk. ABL is a rabies virus carried by most bat species, including microbats. It is transmitted by bites or by secretions such as tears or saliva. Three people are known to have died from ABL in Australia, the last in 2013. Wild animals look cute, but they don’t want to be handled and will bite. If you get bitten by a bat, wash and disinfect the area well, and contact your doctor. You will probably need post-exposure rabies immunoglobulin injections. This, by the way, is the same if you get bitten by any animal in countries with ‘regular’ rabies, such as Indonesia. Hendra virus has killed at least four people, all of whom had close contact with infected horses. Two were vets, Dr Ben Cunneen in 2008, and Dr Alister Rodgers in 2009 who attended the sick horses. 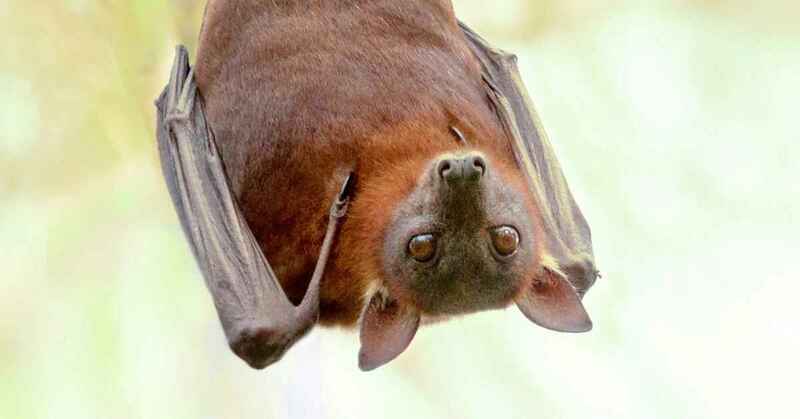 Hendra virus has been found in bats but not yet in people here in South Australia. It’s probably spread to horses grazing underneath trees where bats feed or roost. The horses can then get a severe disease with respiratory or neurological signs, and 70% mortality. Bat faeces and urine are probably not directly hazardous to humans, dogs or cats. Bats are cool, and no danger if we leave them alone. Would you like to take a look? The next time you’re at a game on a warm evening, watch the buzzing insects around the lights. You’ll see something flitter and flutter through the beam. These are one of around 8 species of insectivorous bats, or microbats, quietly going about their job of keeping bug numbers down. If you listen closely you can just hear their echolocating squeaks. Flying foxes are even easier. The Adelaide parklands colony can be found in the pines near Frome Road south of the Zoo. They’re hanging upside down, high up, and resting far away from danger. Each evening they head out in search of food. Then, like me, you may hear their chattering in the trees or see a dark shape flap overhead. That’s no bird. Q: What’s the best way to pick up a bat? A: By the handle, of course! Sorry. I’ve been told I don’t do enough puns. Interested in what other diseases we share with animals? Visit our page on what you can catch from your pets. Working at this years fringe, i see the botanic gardens bat colony all leaving their trees, from about 8.20, and all heading East. Why all East ?. Is it like when bats exit a cave ?…they all exit to the left. They know on which side their bread is buttered! Rich feeding grounds lie East. I live at Dernancourt SA near the river Torrens. I see hundreds (probably thousands) of bats flying east towards Athelstone every night when night light is fading. I assume they are coming from the Zoo and Botanical Gardens area. I assume they might be heading to the Gorge at Athelstone – I would be interested to know if anyone has tracked the bats movement? Hi Paul. Yes, there is only one colony so they should all be coming from the zoo where there are in excess of 20,000 individuals. It is said that their movements range up to 20 km from the city in search of food each night. Hi Andrew thanks for the information.I see and hear a couple of flying foxes every morn.while walking one of your clients.Julian the beagle.they seem to roost in a couple of tall trees in our area of Prospect. Don’t you wonder what the dogs think of our newcomers! We have a lot of large bats each night in the gum trees in the backyard. Is their urine or poo dangerous to my two jack Russell’s. We live in Clarence Park S.A. Are they a danger to my dogs. Hi Rose. Bats are unlikely to be dangerous unless directly handled or via infection from horses. There is no known risk to dogs. Although bats are new to us here in South Australia, it’s worth noting that bats have always been common on the east coast. If there was a problem we’d almost certainly know of it by now.